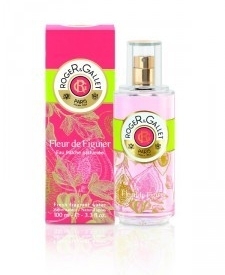 Fleur de Figuier by Roger & Gallet. 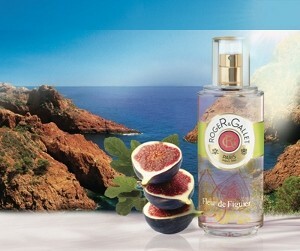 Francis Kurkdjian has picked a perfectly ripe fig for Roger & Gallet, inspired by the delicious fruit that grows near the mountains of Esterel in Provence. Fleur de Figuier is an original blend, a perfect balance that respects the lightness and finesse of the Eau Fraîche, and is captured in a bottle adorned with a new Art Deco-style cap designed by Martin Szekely. A sensorial accord of fig pulp enhanced by a hint of caraway and the freshness of grapefruit. Notes of crisp fig leaves then reveal themselves as they blend with those of mandarin blossom. Finally, the sensuality of musk and fig wood provides a sensation of delightful & relaxing wellbeing. Spray as required. For best results use with Fleur de Figuier Shower Cream and Body Lotion. The bottle has a pretty, Art Deco-style design. A fresh, sweet, slightly spicy fragrance. Wonderfully light and refreshing. 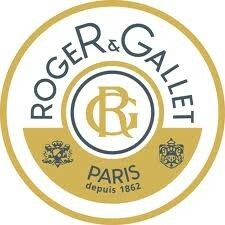 Quite expensive for a fragrant water, and the fragrance doesn't last. 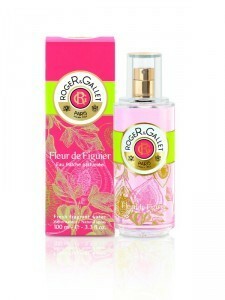 A light, refreshing and feminine fragrance spray that's ideal for warmer weather.